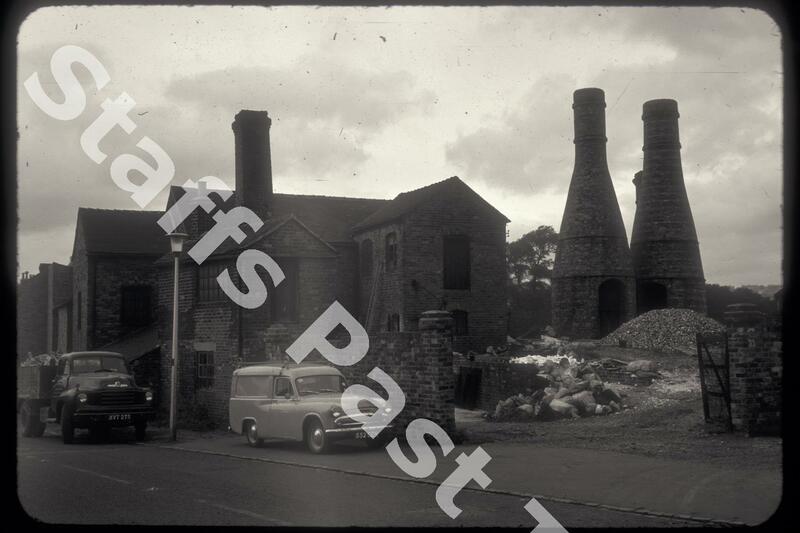 Description:George Edwards mill in Ruxley Road, close to the junction with Bucknall road, next to the mill stream that flowed from the River Trent at Finney Gardens. Bucknall Road is off to then left. 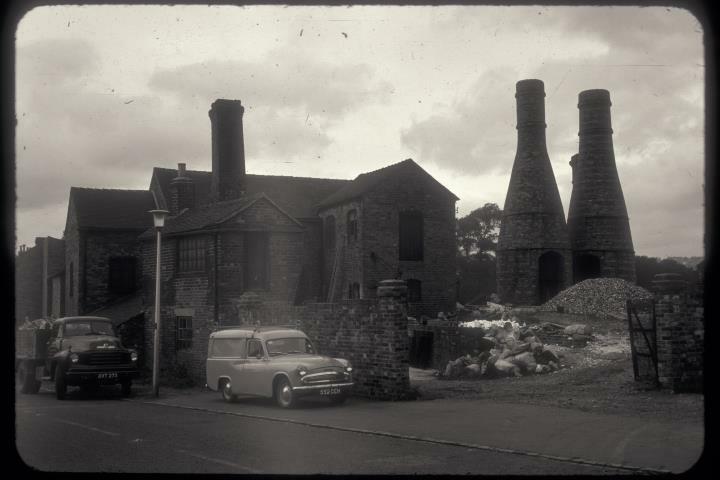 The two ovens are calcining kilns where flint is roasted (calcined) and becomes brittle and easier to crush into a powder. This can then be added to the clay body. The original water wheel was housed in the large building: the mill stream and sluice ran behind. With the redesign of the Ruxley Road, Bucknall Road, Werrington Road junction the mill site has disappeared.